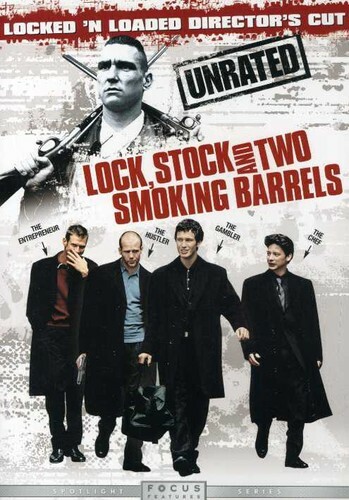 LOCK, STOCK AND TWO SMOKING BARRELS is a kinetically comic tale that follows a group of Londoners who find themselves in over their collective heads after a sour card game. Luckily for them-or so they think-they discover that their neighbors are plotting a robbery, a perfect opportunity for the lads to stumble into some payback money. So the scams begin to pile.... Director Guy Ritchie Star Vinnie Jones, Nick Moran, Jason Flemyng, Dexter Fletcher, Steven Mackintosh, Sting Special Features: Anamorphic Widescreen - 1.85 Audio: Dolby Digital 2.0 Stereo - English Subtitles - English (SDH), French, Spanish Runtime: 120 minutes Year of Release: 1998.